In the previous two posts in this series, I demonstrated how to create a simple to-do list using Xamarin.Forms. In this and the next post, I’ll show how to create pretty much the same program for iOS using Xamarin native code. To begin, open Xamarin Studio and create a new solution, choosing iOS/App -> Single View App and name it ToDoiOS. We’ll begin by roughing out the UI. Open the file Main.storyboard. You’ll find a View Controller. 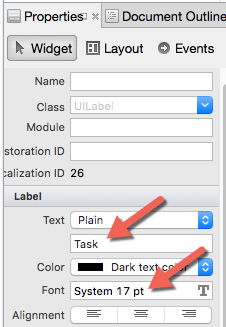 Go to the toolbox and drag a Navigation Controller onto the storyboard — notice that it brings its own ViewController. Grab the sourceless segue (the arrow) and move it to point to the Navigation Controller. Great. Now you can delete the original View Controller. What you’ve done, effectively, is replaced the default ViewController with a Navigation Controller. The Navigation controller has no UI, but as you might imagine it assists with navigating from one page to another. It is “born” with its own ViewPage which will be the first page in our interface. Next, drag a Label from the toolbox onto the storyboard and use the Properties window to set its text to “Task” and its font to 17 points. Not attractive by any measure, but enough to get us started. Because we want the review page to hold a list of To Do tasks, we’ll drag a TableViewController onto the storyboard. There are other ways to get a table, but if you want a full page table, this is the easiest approach. 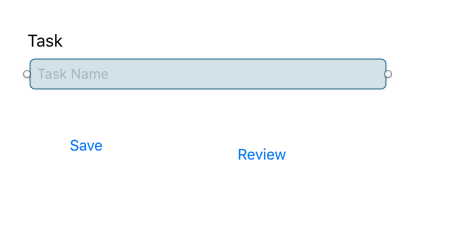 Once you drag the TableView into place, control-click on the Review button and drag to the TableViewController. 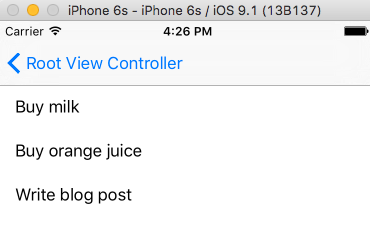 When you let go, you’ll see a segue from the Root View Controller to your Table View Controller. Click on the black bar at the bottom of the TableViewController and in the properties window set the class to ToDoReviewController. Notice that Xamarin Studio will instantly and automatically add a new file, ToDoReviewController.cs to your project. 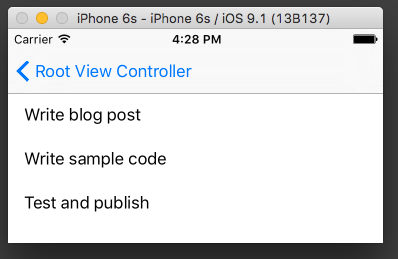 You now have two controllers: ViewController (for the Root View) and ToDoReviewController (for the Table View). In PrepareForSqegue, we are going to get an instance of ToDoReviewController and then set the ToDoItems in that controller to the ToDoItems in the root view; effectively passin in the ToDoItems. By the time we get to this controller, its ToDoItems property has already been populated as shown above. The table needs to know how many rows to create, and we tell it by overriding RowsInSection, returning the number of strings in the ToDoItems collection in the controller. There is more to do, especially including persisting the ToDo items, and we’ll take this up next week. This entry was posted in Essentials, XAML. Bookmark the permalink.